The long awaited warm weather is finally upon us. Although you are probably tying to spend as much time outside as possible to soak in the sun, you may not feel the same when you’re back inside your home. Now that the sunlight remains for a longer period of time, homeowners are in a constant struggle to make sur enough light is coming in and they are keeping the heat out. If this is something you are dealing with, Cadillac Window Fashions has the solution! Installing blinds into any room will be the perfect solution and will also add a touch of elegance. 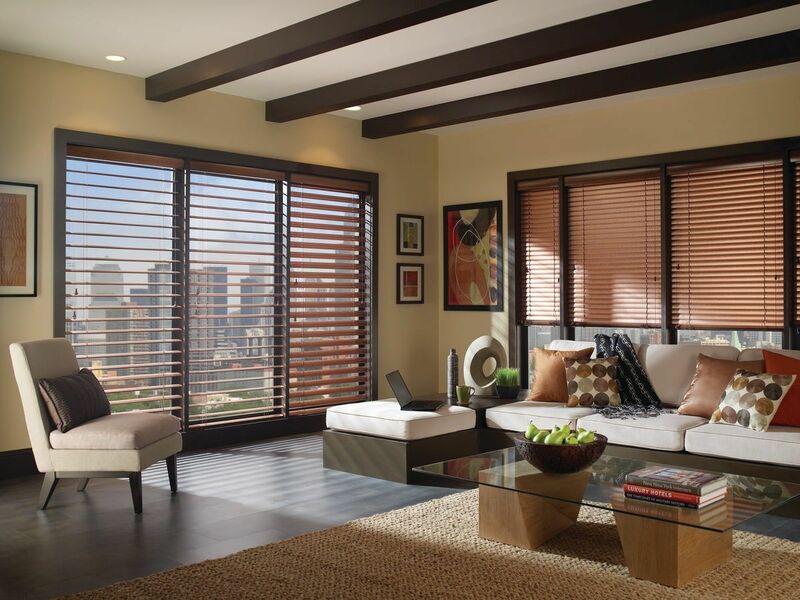 Continue reading for the benefits of installing blinds into your home this summer. Blinds are perfect for any room in your home as you have full control over how much light enters. It can be easily adjusted to your desire. For example, if you decide you want to watch a movie, you adjust the slats on some window blinds to be fitted so tightly together that no light is allowed in. Alternatively, on a nice day when you want to just let natural sunlight illuminate the room, you can have them completely open. When closed, blinds block out a number of things that you may not want entering you home. For example, blinds act as an extra layer of insulation. Being energy efficient, they are able to reduce heat in the summer, therefore you no longer have to crank up the air conditioner on a hot summer day. In addition, blinds block out UV light. This will help protect your furniture from fading and discoloration. Lastly, if you are a private person or just don’t want your home exposed to those passing by, blinds are the perfect option for privacy in your space. The possibilities are absolutely endless when it comes to blinds! No matter the décor you have, with Cadillac Window Fashions, we will be able to help you find the perfect design for every room. Whether you have an idea of what you want or are coming in *blind*, our expert staff will be able to work with you to find the best fit. Some of the options you can consider are mini blinds, vertical blinds, and materials like plastic, bamboo and aluminium. One of the most popular options amongst homeowners with kids or pets is cordless blinds. At Cadillac Window Fashions, we are firm believers that you do not have to sacrifice elegance for safety, and that is why cordless blinds are the perfect option. With the warm weather, we understand that you want to spend as much time outside as possible. Nobody wants to spend their weekends on a beautiful day inside cleaning your window coverings. That is why you should decorate your windows with blinds. Due to the material, all they require is a quick wipe form time to time with a damp cloth and they are good to go! Not only are they convenient, but they are also long-lasting. Those that are made from wood and aluminium will stay in perfect condition for years to come and they won’t go out of style! Looking to do something unique with your home? Tall shutters can be hinged together and hung from the ceiling to separate spaces in a room. This will provide a different effect and can be extremely useful. At Cadillac Window Fashions, we provide a gorgeous selection of vertical and horizontal blinds, ranging in an array of patterns and materials. Our expert staff would be thrilled to help you choose and install a design that will look amazing in any home in Woodbridge, Markham and throughout Toronto the GTA. Visit our website today to let the blinds selection speak for themselves.